1. Carver wanted to improve the economic status of African Americans. 2. He was a religious man and believed that his scientific work strengthened his faith. 3. Carver was also a talented painter, writer, and humanitarian. He even sang, crocheted, knitted, and did needlework. 5. He was 78 when he died, and he left his life savings of $60,000 to the Carver Museum and the George Washington Carver Foundation. 6. Quote - There is no short cut to achievement. Life requires thorough preparation -- veneer isn't worth anything. 7. Quote - When you do the common things in life in an uncommon way, you will command the attention of the world. 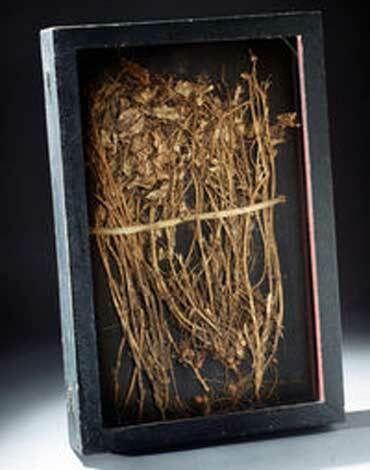 George Washington Carver was a famous botanist, educator, and an unofficial spokesperson for the peanut industry. Carver was born to a slave named Mary on July 12, 1864, in Missouri. When he was a baby, he was kidnapped along with his mother and a sister. His owner, Moses Carver, paid a man to find them, but only George was found. Moses Carver and his wife Susan raised George and his brother. Susan taught George how to read and write. George started studying plants when he was a young boy. Some schools wouldn't accept African American students, so George had to search for schools that would let him attend classes. After he finished high school, he went to college and earned a master's degree from Iowa State. He lead the Agriculture Department at Tuskegee University for 47 years. Carver helped poor southern farmers increase their income by promoting the rotation of cotton plants with other crops such as peanuts and sweet potatoes. He invented and promoted the use of many plant products and even published a collection of peanut recipes. To bring educational services to rural farmers, Carver designed a "movable school" called the Jesup Agricultural Wagon. In 1921, he received national attention when he spoke before the United States House of Representatives as an agricultural expert. 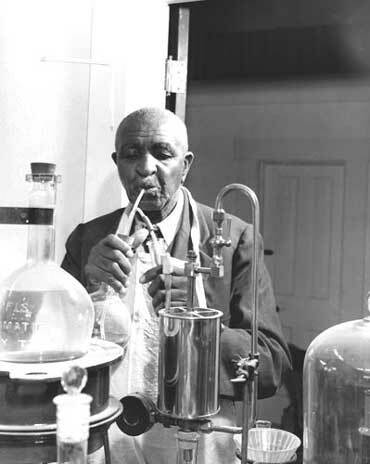 George Washington Carver died on January 5, 1943. He is buried at Tuskegee University. Copyrights to the pictures and photos on this ESL and EL Civics website belong to individual photographers. We have purchased the rights to use them. Do not copy the pictures and photos on this educational website. Permission is granted to copy any of the worksheets for classroom or home study. Contact Christina Niven, ESL teacher, at christina@elcivics.com. Please send corrections, comments, greetings, and requests for new ESL lessons. Copyright © Christina Niven, 2007.